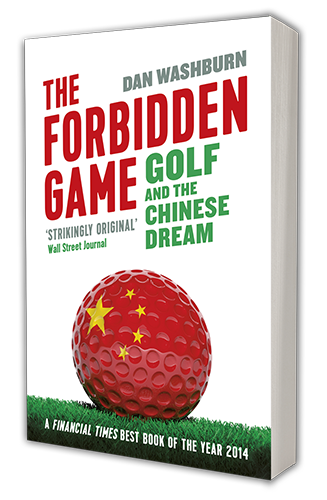 Washburn, who appears at Asia Society Houston on Thursday, describes this paradoxical “banned but booming” golf culture through portraits of three people: Zhou (pronounced “Joe”) Xunshu, whose security job at a golf course leads to a passion for the game and the quest to become a pro; Wang (pronounced “Wong”) Libo, a former lychee farmer who sells some of his land to a luxury golf development; and Martin Moore, an American executive who has spent decades planning and building golf courses in Asia. Filed under Blog, Featured. Tagged houston chronicle, interviews, maggie galehouse, press, reviews.